Why Choose Bespoke Windows & Doors? Bespoke windows and doors are highly popular, as it allows you to fully customise them to suit the style of your property. From hand carved designs to bespoke shapes, wooden windows are the perfect solution for properties that require something a little different. Just like other options bespoke windows and doors are easy to install and are typically just as easy to maintain. The term bespoke means to customise to suit your requirements and windows and doors are no different. Custom doors and windows offer a highly durable alternative to more modern alternatives. Bespoke windows and doors typically come in a timber frame and allow for the ultimate amount of personalisation. Whether it’s patterns in a door or a replacement conservatory that matches a more traditional model, a bespoke option is the best route to go. Bespoke windows and doors are high durable and energy efficient. 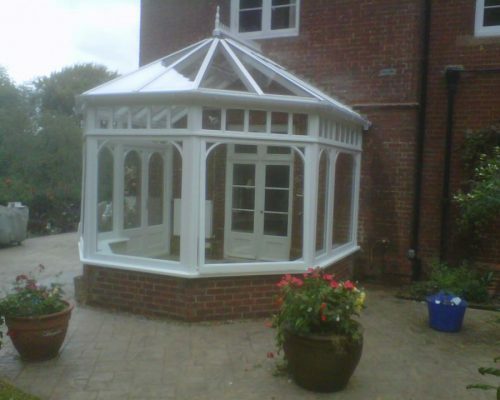 Just like bespoke windows and doors, conservatories are also available in a more bespoke option. 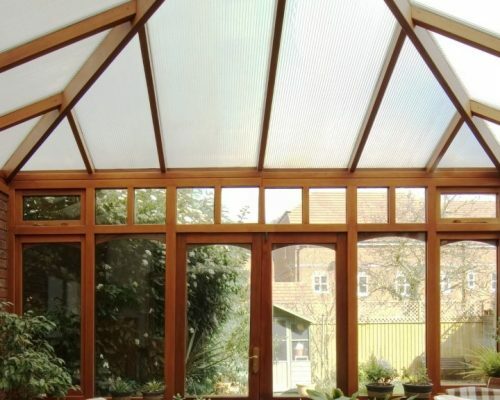 Many older conservatories are of a more unique shape and need a more tailored solution as an alternative. 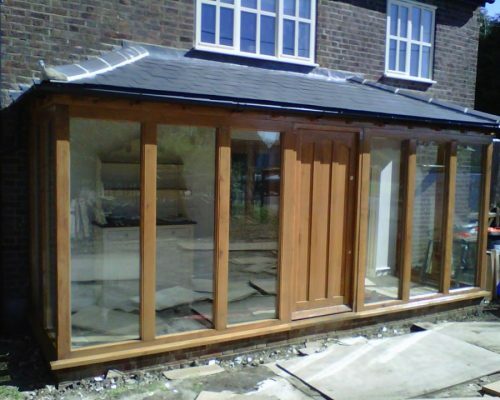 A bespoke conservatory will be handcrafted out of wood and made to measure the exact space required. 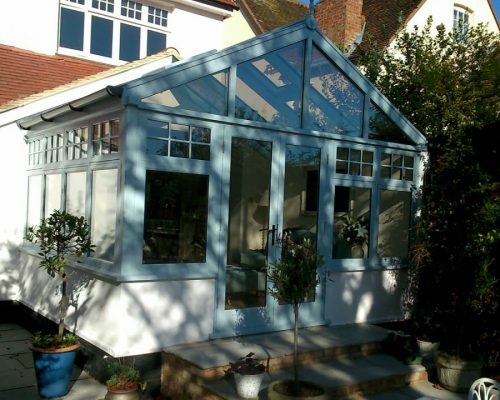 In addition to acting as a replacement, anyone wanting to extend an older property might find it easier to achieve consent if they extend using a bespoke wooden conservatory. Made to Measure – Having windows and doors precisely made to measure will ensure that they perfectly fit your property. Bespoke windows and doors can be tailored around you and the exact measurements; these types of windows and doors will usually last longer and they are designed to perfectly suit the structure of your property. Made to Match – There’s nothing worse than never been able to get the same thing again and that’s the great thing about bespoke windows and doors, the design can be made to perfectly match the windows in your current installed in your property. Unique – Whether people admit it or not, we all aim to have something that stands out from the crowd. Bespoke windows and doors offer a unique solution for your property and are guaranteed to be different from the norm. Functionality – You can choose not only how your windows and doors look, but how they operate too. Whether it’s barn doors or stash windows, you have full control over how they operate. Quality – When you choose a pre-made product, you never quite know what you’re buying. However bespoke windows and doors know exactly what you’re purchasing and have full control over the quality and the finished product. One of the best ways to customise you home is with bespoke windows and doors. Why be the same as everyone else, when you can stand out from the crowd. Bespoke windows and doors can be hand crafted around your specific requirements, whether it be a particular pattern, bevel or shape you require. Bespoke windows and doors, can be used to create bespoke conservatories of any type. With older buildings it’s important to maintain their heritage and style, so choosing a more bespoke option is the best option. Bespoke windows and doors offer a more modern feel, whilst helping to maintain the traditional nature of a property.